The standard reference describing the Crystallographic Information Framework. International Tables for Crystallography Volume G: Definition and exchange of crystallographic data (2005), edited by Sydney Hall & Brian McMahon. Dordrecht: Springer. S. R. Hall & R. Sievers (1993). CIF applications. I. QUASAR: for extracting data from a CIF. J. Appl. Cryst. 26, 469-473. S. R. Hall (1993). CIF applications. II. CIFIO: for CIF input/output in the Xtal system. J. Appl. Cryst. 26, 474-479. S. R. Hall (1993). CIF applications. III. CYCLOPS: for validating CIF data names. J. Appl. Cryst. 26, 480-481. S. R. Hall (1993). CIF applications. IV. CIFtbx: a tool box for manipulating CIFs. J. Appl. Cryst. 26, 482-494. S. R. Hall & H. J. Bernstein (1996). CIF Applications. V. CIFtbx2: extended tool box for manipulating CIFs. J. Appl. Cryst. 29, 598-603. J. D. Westbrook, S.-H. Hsieh & P. M. D. Fitzgerald (1997). CIF Applications. VI. CIFLIB: an application program interface to CIF dictionaries and data files. J. Appl. Cryst. 30, 79-83. H. J. Bernstein & S. R. Hall (1998). CIF Applications. VII. CYCLOPS2: extending the validation of CIF data names. J. Appl. Cryst. 31, 278-281. H. J. Bernstein, F. C. Bernstein & P. E. Bourne (1998). CIF Applications. VIII. pdb2cif: translating PDB entries into mmCIF format. J. Appl. Cryst. 31, 282-295. W. Chang & P. E. Bourne (1998). CIF Applications. IX. A new approach for representing and manipulating STAR files. J. Appl. Cryst. 31, 505-509. J. R. Hester & F. P. Okamura (1998). CIF Applications. X. Automatic Construction of CIF Input Functions: CifSieve. J. Appl. Cryst. 31, 965-968. L. Clowney, J. D. Westbrook & H. M. Berman (1999). CIF Applications. XI. A La Mode: a ligand and monomer object data environment. I. Automated construction of mmCIF monomer and ligand models. J. Appl. Cryst. 32, 125-133. B. H. Toby (2003). CIF applications. XII. Inspecting Rietveld fits from pdCIF: pdCIFplot. J. Appl. Cryst. 36, 1285-1287. B. H. Toby (2003). CIF applications. XIII. CIFEDIT, a program for viewing and editing CIFs. J. Appl. Cryst. 36, 1288-1289. B. H. Toby, R. B. Von Dreele & A. C. Larson (2003). CIF applications. XIV. Reporting of Rietveld results using pdCIF: GSAS2CIF. J. Appl. Cryst. 36, 1290-1294. F. H. Allen, O. Johnson, G. P. Shields, B. R. Smith & M. Towler (2004). CIF applications. XV. enCIFer: a program for viewing, editing and visualizing CIFs. J. Appl. Cryst. 37, 335-338. R. I. Cooper, B. M. Foxman & L. Yang (2004). CIF applications. XVI. CIF2CRY: for CIF input into the CRYSTALS program. J. Appl. Cryst. 37, 669-671. J. R. Hester (2006). 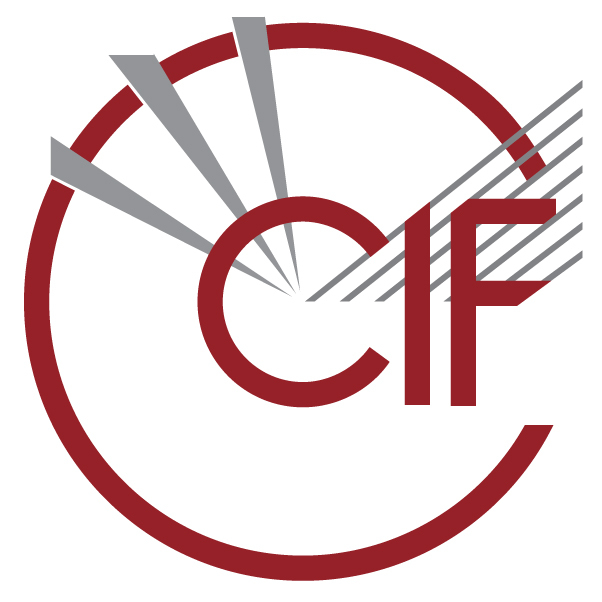 A validating CIF parser: PyCIFRW. J. Appl. Cryst. 39, 621-625. W. Kaminsky (2007). From CIF to virtual morphology using the WinXMorph program. J. Appl. Cryst. 40, 382-385. G. Todorov and H. J. Bernstein (2008). VCIF2: extended CIF validation software. J. Appl. Cryst. 41, 808-810. S. Grazulis, D. Chateigner, R. T. Downs, A. T. Yokochi, M. Quirós, L. Lutterotti, E. Manakova, J. Butkus, P. Moeck & A. Le Bail (2009). Crystallography Open Database - an open-access collection of crystal structures. J. Appl. Cryst. 42, 726-729. Y. Lin (2010). ASTAR: a .NET class library for STAR/CIF manipulation. J. Appl. Cryst. 43, 916-919. S. P. Westrip (2010). publCIF: software for editing, validating and formatting crystallographic information files. J. Appl. Cryst. 43, 920-925. N. E. Day, P. Murray-Rust & S. M. Tyrrell (2011). CIFXML: a schema and toolkit for managing CIFs in XML. J. Appl. Cryst. 44, 628-634. R. J. Gildea, L. J. Bourhis, O. V. Dolomanov, R. W. Grosse-Kunstleve, H. Puschmann, P. D. Adams & J. A. K. Howard (2011). iotbx.cif: a comprehensive CIF toolbox. J. Appl. Cryst. 44, 1259-1263. N. Day, J. Downing, S. Adams, N. W. England & P. Murray-Rust (2012). CrystalEye: automated aggregation, semantification and dissemination of the world's open crystallographic data. J. Appl. Cryst. 45, 316-323.